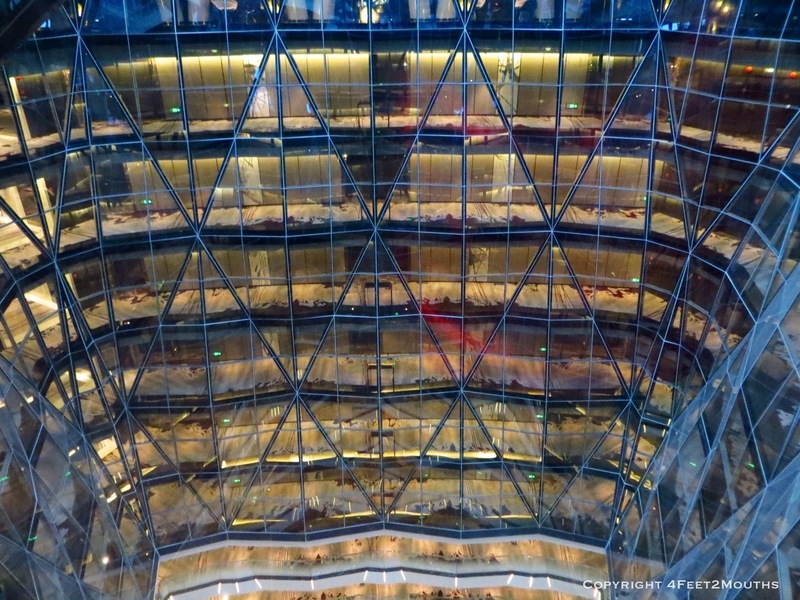 Guangzhou kind of gets a bad rap. Yeah, it’s not that pretty and there aren’t a great many sights to see. But I still liked it. The area was a major trading post for centuries and one can still feel the influence from the mix cultures. 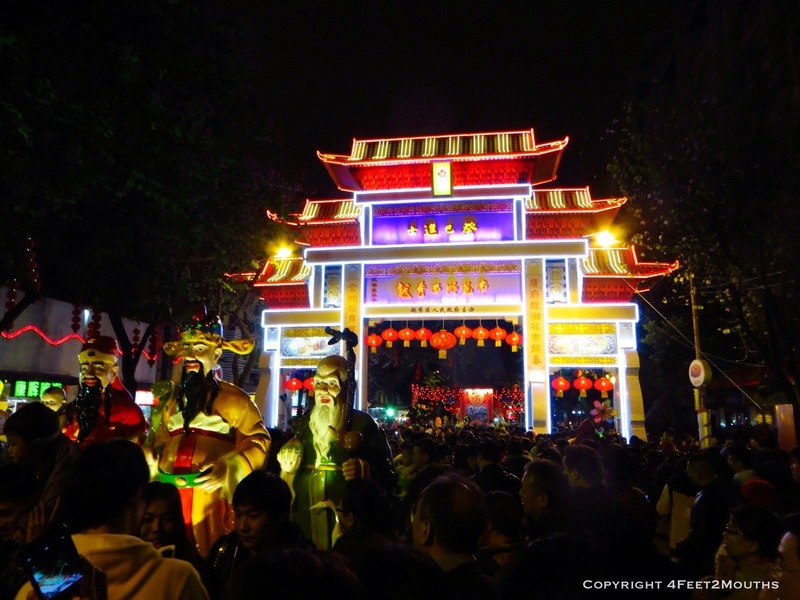 Another winning factor is that Guangzhou is a real city, geared more towards manufacturing than simply tourism. Add an abundance of dim sum and an excellent subway system and I was sold. From the beginning, Guangzhou took care of us. After checking into our hotel and taking a nap I was very hungry. Just before popping into the subway there was a lady selling dumplings! 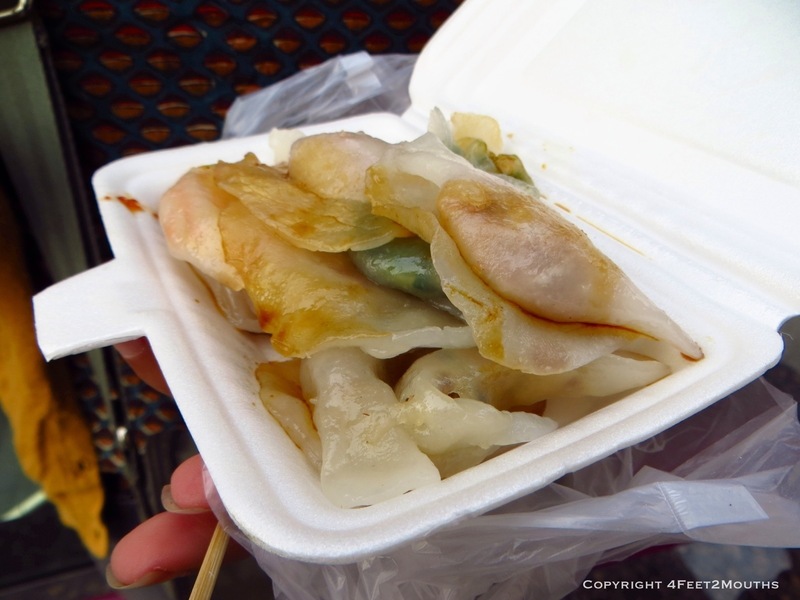 We bought a half dozen vegetarian dumplings for $0.50. Good deal. We then rode to downtown where we walked the lively shopping streets. I had read a recommendation for an eatery in the area with a straightforward name – Guangzhou Restaurant. We found it but the garish neon exterior wasn’t exactly welcoming. We went inside anyway and found a good quality meal of BBQ pork, buns and Chinese greens in a light broth. But what we were really excited for was dim sum. Many a morning in SF were spent at our favorite dim sum restaurants with old ladies pushing carts of food for us to choose from. 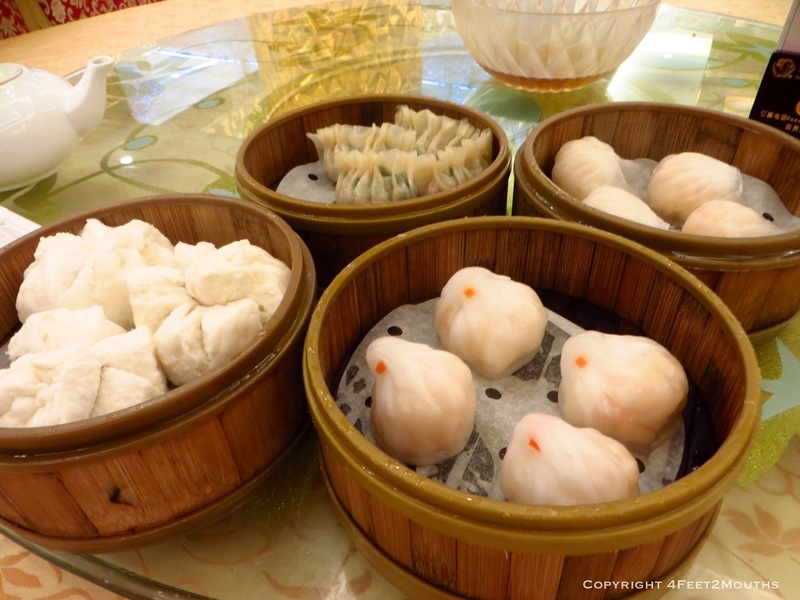 We know the names of the classic dishes – ha gow (shrimp dumpling), cha siu bao (bbq pork steamed bun), siu mai (pork and shrimp dumpling topped with roe). We were ready. 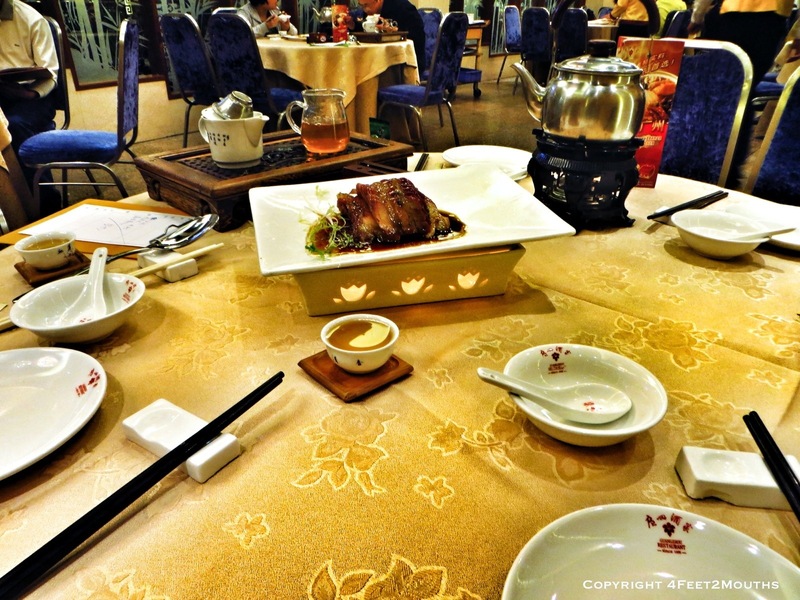 During our time in Guangzhou we were able to sample two of the most well known dim sum restaurants. The first, Panxi, served up some excellent quality. But there were no carts – we ordered from a menu. Less fun, but even worse was waiting almost an hour for our food! It’s never easy in China. The second place was Tao Tao Ju Restaurant. This was also delicious (though we liked Panxi a tad more). I did like the self-service counters where I could choose my dim sum. I didn’t recognize anything in the dessert section so I randomly chose a group of deep fried mini-pastries. To my surprise, it was filled with a warm, sweetened durian custard. This was a perfect use of the pungent fruit and I hope I can find it at dim sum restaurants abroad. 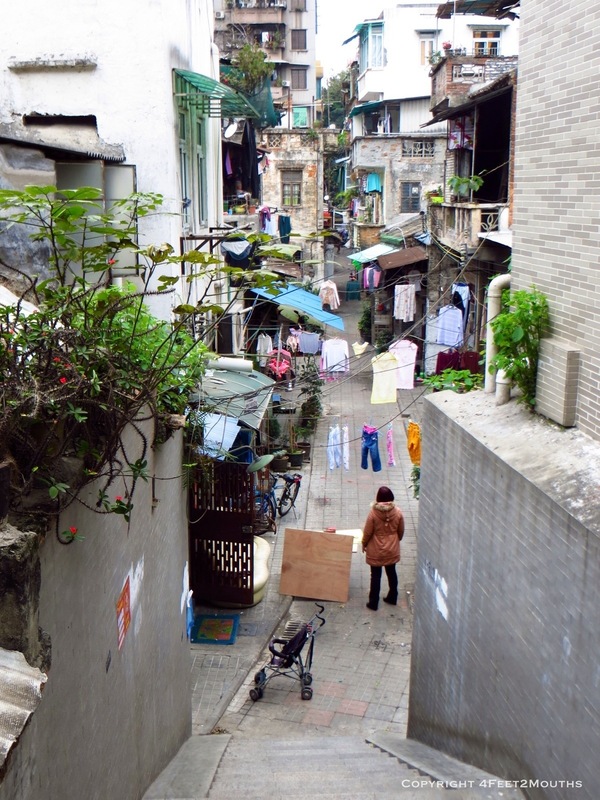 We walked a bit around the shopping district again peeking into the narrow alleyways. We passed one food market buzzing with customers and couldn’t resist perusing ourselves. 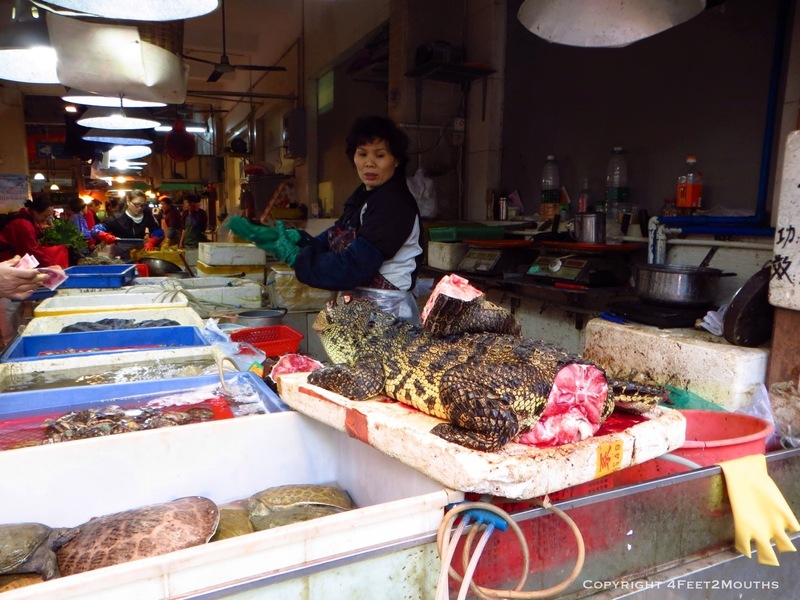 The Cantonese are known for eating everything and anything and this is definitely the first time I saw alligator at the market. But before long it was nap time again. Nathan had unfortunately come down with a tough illness that required a lot of rest. But it was our one year travel anniversary! So Nathan mustered the energy to go to a special restaurant. 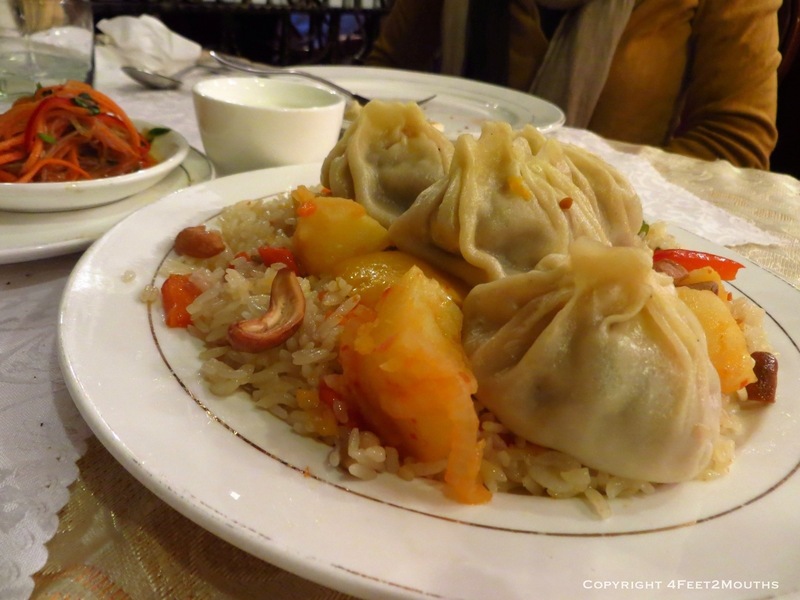 Nur Bostan serves Uyghur cuisine from the far western regions of China. 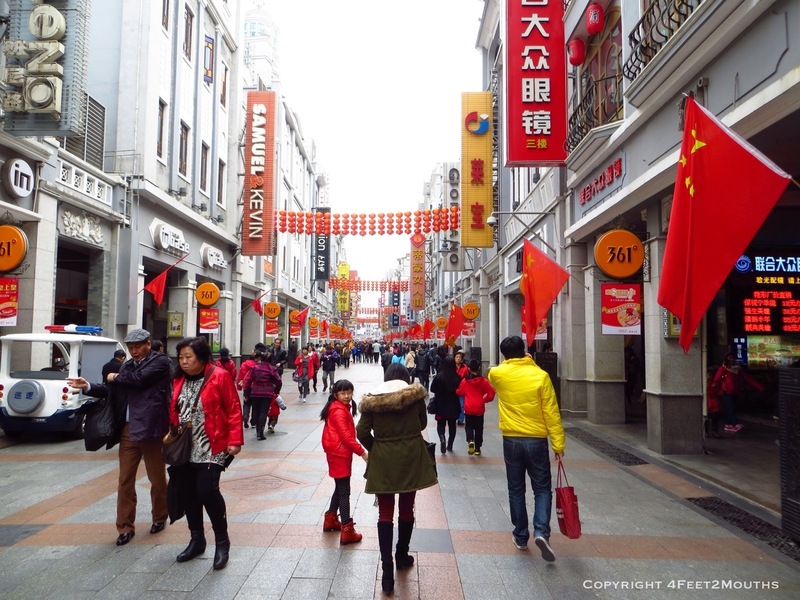 The culture and food there are more closely linked to Central Asia than mainstream Chinese. One of the biggest differences is their Muslim religion, meaning they don’t eat the pork found so ubiquitously in the rest of the country. 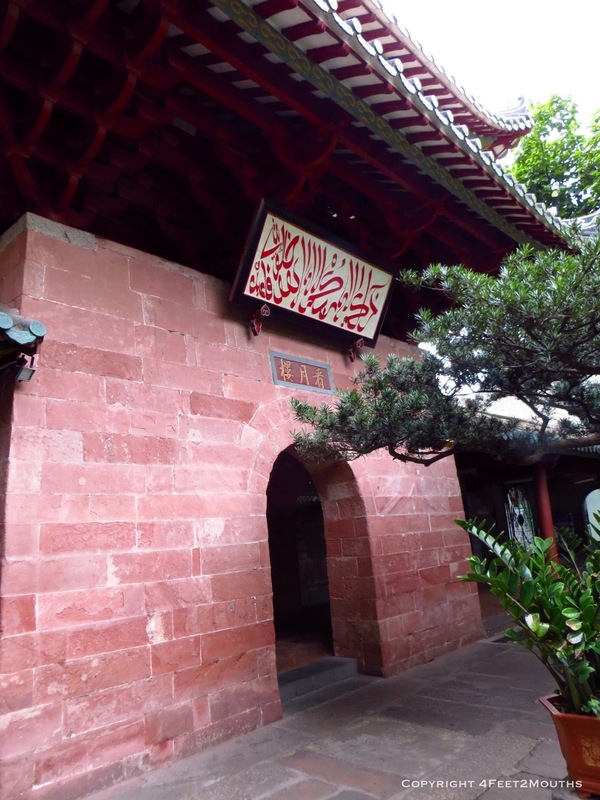 There is a longstanding Muslim community in Guangzhou that I found fascinating. The people themselves, in their dress and face, looked like a mix of east and west. We even went to visit the city’s mosque, one of the oldest in the world being founded in the 600s, shortly after Islam was founded. 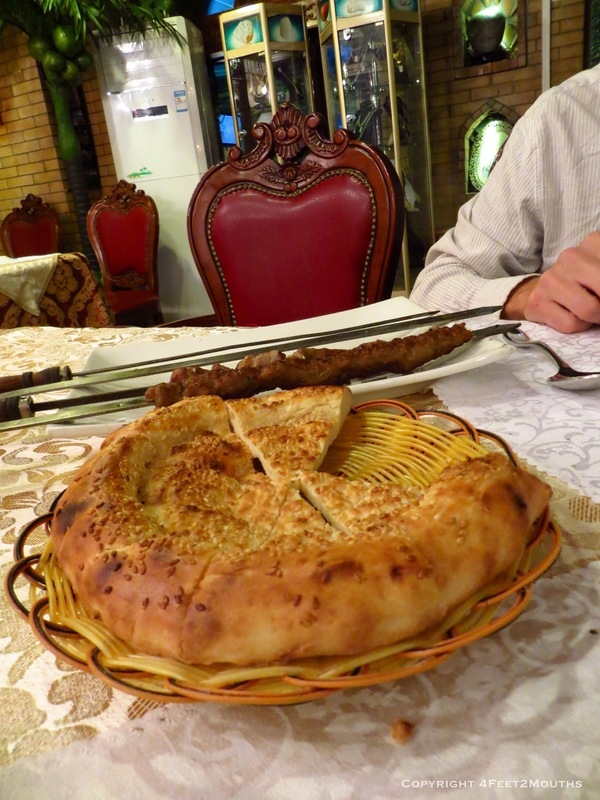 As for the food, we enjoyed some fluffy naan, hummus, juicy lamb kababs and spiced rice. An excellent way to celebrate our travel-veresary! 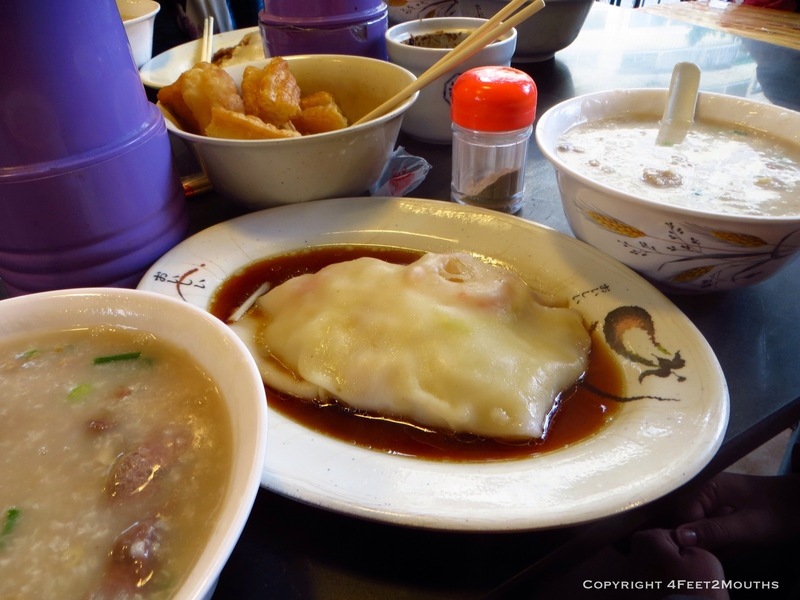 In the morning we fought for a table at Wuzhanji, recommended for its cheung fan (steamed rice noodle rolls) and congee. The woman taking orders didn’t even want to deal with us but we persisted and were rewarded with some springy noodles. We also got some congee with offal. I think this was her version of revenge but little did she know we actually like offal. So there. Now I wasn’t expecting much more from the Chen Clan Association Hall than an atmospheric old building. But lucky for us it now houses a recently completed folk art museum. My favorite piece was in the ivory carving room. 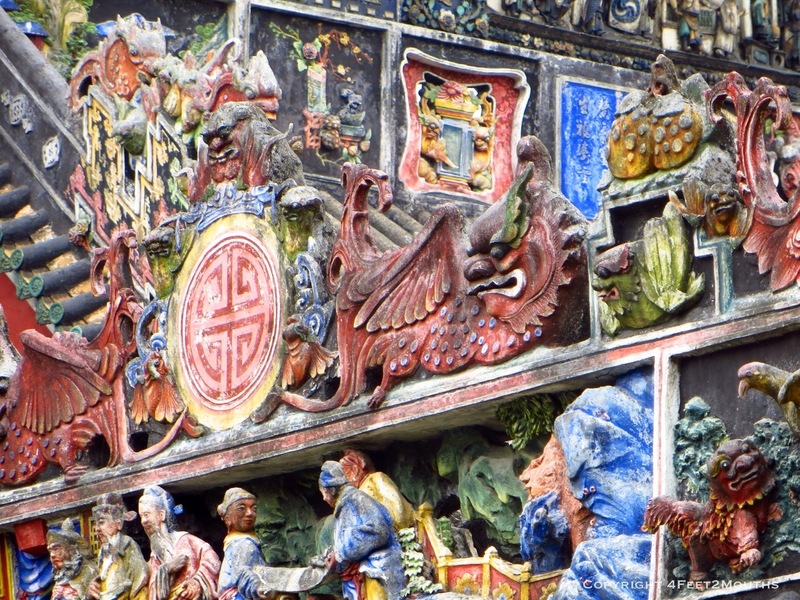 There was a piece of ivory no bigger than a grain of rice with Chinese characters carved in red. Seriously, these characters were too small for the eye to see. 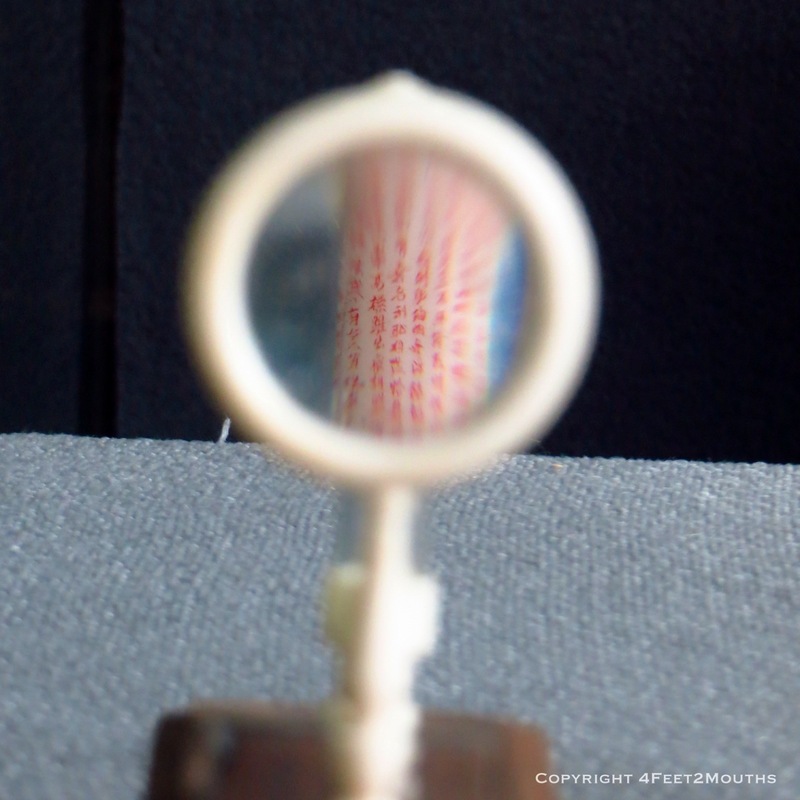 You had to look through a magnifying glass. What unbelievable skill on the part of the carvers!! I will never look the same way at those fairground stands that advertise writing your name on a grain of rice. They don’t even know what they’re up against. From the old to the very new, we rode the subway to Guangzhou’s version of Canary Wharf. Skyscrapers are under construction at every turn but we were here to see two in particular. The first was the IFC Tower, the tenth tallest building in the world. It was just finished last fall and feels brand spanking new. We made our way to the glamorous Four Seasons Hotel lobby on the 70th floor for views over the city. Too bad it was cloudy! 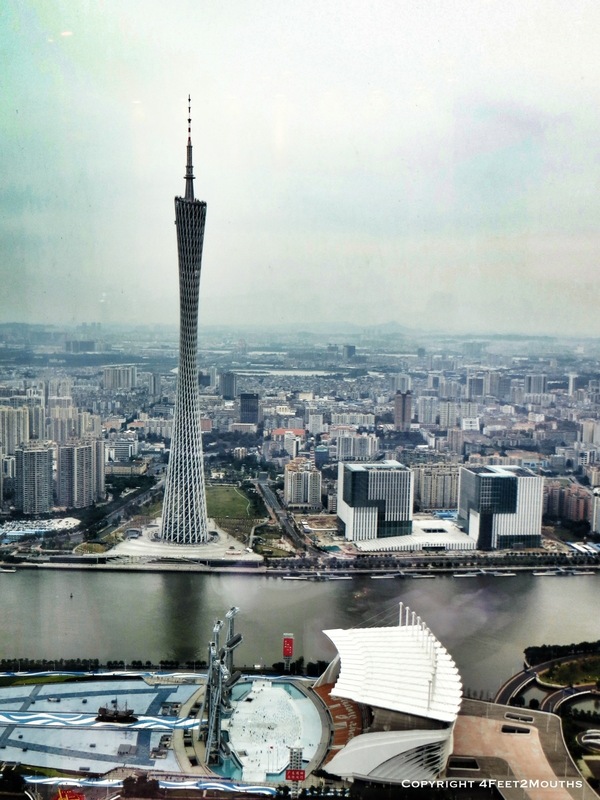 From the IFC Tower we could see the Canton Tower twisting into the sky. Pretty spectacular stuff. 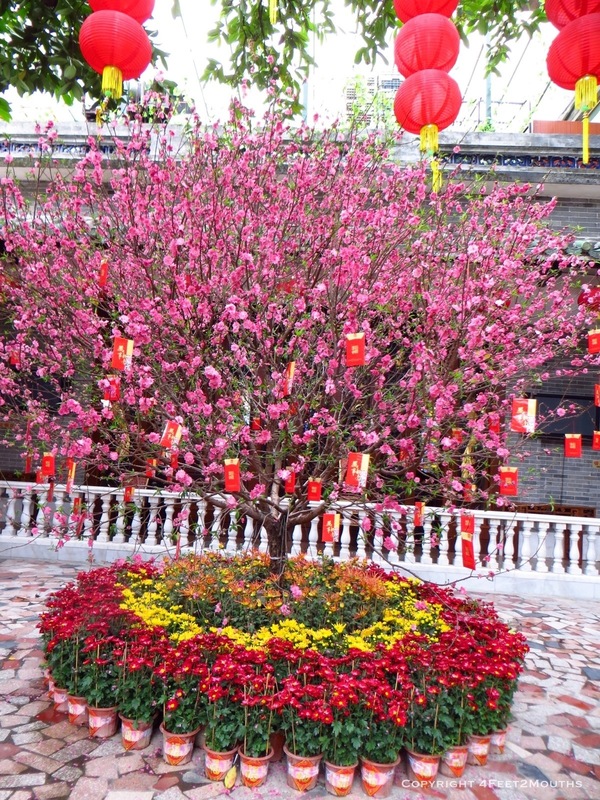 At night we braved some crowds at a pedestrian shopping street hosting a flower market for the new year. We then hopped on the subway to our hotel. At the stroke of midnight we were treated to a cacauphony of fireworks set off by local families (the city did not put on a show). These were bigger than some of the shows we’ve seen in SF! We had a great vantage point from our hotel room on the 7th floor of an apartment building. Our new year’s day (the third in our trip so far after Mumbai and Hanoi!) was spent eating dim sum, reading and sharing a simple noodle dinner with the young hotel manager. It was a good way to gear up for our next destination, one of the best cities in the world, Hong Kong. Happy one year travel anniversary!